2 product ratings - Red Hot Chili Peppers Stadium Arcadium Brand New & Sealed! Deluxe Art Edition! 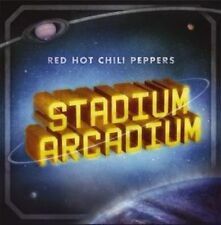 Red Hot Chili Peppers Stadium Arcadium Art 2012 OOP 180g Audiophile Sealed NEW! 2 product ratings - Red Hot Chili Peppers Stadium Arcadium Art 2012 OOP 180g Audiophile Sealed NEW!